It turns out to be a beautiful butterfly! Children are always so attached to their pets.My children has two pet tortoises who have been with us for 5 years. I've always wanted to let them free but my children won't let me. Those are beautiful butterflies. Kids really get attached to their pets, it's good that you were able to teach them that they'd be much happier if they were set free. My son loves catching butterflies and dragonflies, I let him keep them for a couple of hours, then he sets them free. Every spring we would order the little Painted Lady caterpillars for our Special Ed. classroom. We would enjoy them and then set them free before nature took it's course. They have a pretty short lifespan. I just wanted to thank you for visitin' and leaving a sweet comment. Have a fantastic weekend filled with blessings!!!! Amazing how the butterflies stayed still for you to take pictures. They usually fly off when you approach them. I hope your girls are adjusting well to their friends being gone. Have a great weekend! What a sweet lesson for your girls. What fun you all must have had with your "project". @TK - My girls asked for mini turtles before and I didn't think it was a good idea. You had your tortoises for five years? That's good and your kids must of take good care of them. 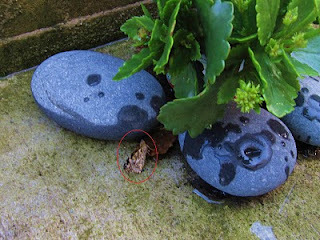 @Liz - Geez, I wish we have dragonflies in our backyard! That would be so nice! Have a good weekend too! @Nezzy - How nice to hear that a fellow blogger share the same passion. It is fascinating to watch the entire process and rather sad to let them go. Thanks for coming back today! Have a great weekend! @Jaiden - My girls were sad but I think the youngest one has forgotten about the butterflies. 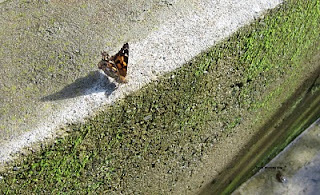 My eldest checks around our backyard but she doesn't say out loud that she's looking for her butterflies. 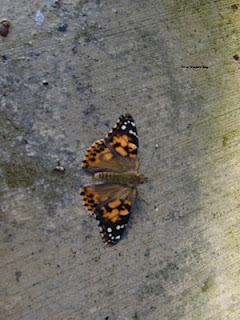 painted Ladies are such lovely butterflies! Glad you had such success! Maybe the butterflies were shocked that they were released. That's why it took time for them to accept that they were free to go. I think the butterflies need a little time to adjust and orient to the outside world. Fly, my pretties fly, and spread your wings! They really turned out so gorgeous! P.S. My laptop is back! 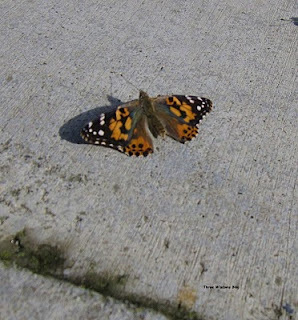 @CraftyGreenPoet - I never heard of Painted Lady Butterflies up until now. They are so beautiful to look at in person! @Willie - Yes, I believe so too. The butterflies were confused and didn't know what to do so they kinda just stayed for a while. @Astra Libris - Thanks for visiting! It was an incredible biology recap for me! @Levian - Ohhh, I'm not a fan of animals of any sort which was why I didn't by the kit for my girls. But I was surprised how easy it was.